...due to an embarassing to-do list. But I'll be back soon with more lit news and author interviews. Ontario Veterinary College is pleased to a send a call for submissions for our anthology, Animal Companions, Animal People, Animal Doctors, to be published by Ontario Veterinary College in 2011. To mark its 150th anniversary in 2012, the Ontario Veterinary College is producing a book-length collection of poems, stories, and essays about the myriad ways companion animals enrich our lives and our imaginations, as well as about the veterinary professionals who sustain and are part of our life-long relationship with our animals. For more information visit http://www.vetlit.ca/. Phoebe sponsors the annual Greg Grummer Poetry Award Contest. The author of the winning poem will receive $1000 and publication in the Fall issue of Phoebe. For complete guidelines visit http://www.phoebejournal.com/?page_id=9. Shauna Cross is judge - $250 grand prize + publication in Phoebe. 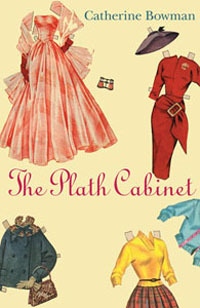 Visit http://www.phoebejournal.com/?page_id=135 for more information. An entry fee of $15 must be included for each story, essay, or group of 3-5 poems. Entrants are welcome to compete in more than one genre, or submit multiple pieces in the same genre. The entrant’s fee includes a free copy of the issue in which the contest winners will be announced and published. 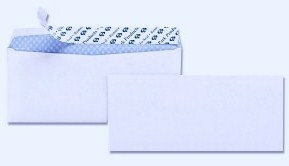 For further details and conditions, please visit our site at http://www.creamcityreview.org/submit/. 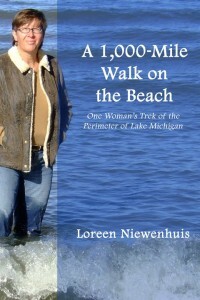 Author Loreen Niewenhuis has two new books set for release in 2011, A 1-000 Mile Walk on the Beach and Atlanta. Thanks for joining us, Loreen, and congratulations. With two books scheduled for release in 2011, it sounds like you've been busy! How do you manage your time between writing, study, and work? I'm quite lucky to be able to focus on my writing full-time at this point. Not that I'm making a living at it, but I've been a stay-at-home mom for a few years and have been able to devote increasingly more time to my writing as my sons have gotten older. Tell us about your experience with Spalding University's creative writing MFA program. How did the program help you develop discipline and time management for writing and for life? Spalding was the perfect place for me: a great community of people who are passionate about writing and teaching and making each student a better writer. The residencies were both informational and inspirational. I liked that the intense residencies were followed by solitary and productive months working with a mentor via packets. The packet schedule imparted a certain structure to my writing and my ability to set goals for my work, and this structure has persisted long after graduation. The first book we'll see from you in 2011 is A 1,000-MILE WALK ON THE BEACH, to be released in March by Crickhollow Books. What is your connection to Lake Michigan and what inspired you to make this figurative and literal journey? I've always been drawn to Lake Michigan. It's the place I go to center myself. I reached a point in my life where I wanted to take on a big challenge, something that would test me, that I could throw myself into. I decided to take on the lake, to walk all the way around it. In a way, I internalized the lake by completely encircling it. You're obviously familiar with the Great Lakes, but I'm sure you learned a great deal about your environment as you made the journey. What surprised you most about Lake Michigan? Walking the varied geology was a revelation to me. I knew that the Great Lakes were formed by glaciers, but to actually walk the entire shoreline of Lake Michigan gave me a unique perspective. I saw the hand of the glaciers in the perched dunes in Sleeping Bear Dunes National Lakeshore. I recognized the work of wind and waves to loft the massive sand dunes I climbed. Hiking the dense limestone deposits in Michigan's Upper Peninsula and the eroding clay cliffs in Wisconsin completed the geological picture of the lake for me. It was satisfying to connect the lake into a unified view instead of the pinpoint glimpses that I got by visiting the lakeshore at various access points over the years. How does your writing across genres work in your favor? Or does it? Is it challenging to pen both fiction and nonfiction? I am, at heart, a fiction writer. It has been a challenge to write nonfiction, especially when it comes to revealing myself on the page. I think that moving between the genres has expanded the way I think about my writing. There is a bigger range of projects I can undertake in the future. The research aspect of A 1,000-MILE WALK ON THE BEACH was fun and I hope to do another project like it in the future. What can you tell us about your summer 2011 release, ATLANTA? This book is a novella that was originally written as a screenplay. I actually began writing movie scripts even before I got my MFA. After graduating from Spalding, I returned to one of those scripts and adapted it into a short novel. So, yes, I hope it gets adapted into a film, because I have the screenplay in my desk drawer (ha!). I lived in Atlanta for several years and the city has stayed with me. 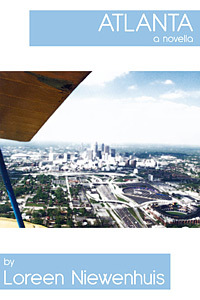 This novella is a snapshot of Atlanta at a time when it was growing, almost bursting at the seams as it transitioned into a major urban center. It's a tapestry of lives woven together in the neighborhoods of Atlanta, and I hope it gives readers a sense of the vitality and life of the city. I understand you're now working on a new novel, TUMOR BOARD. Can you give us a hint of the premise? Since this is the first full-length novel for me, I wanted to create a structure that was transitional between short stories and the novel form. So, the novel has a central spine that is told in present tense. This spine is the Tumor Board meeting that takes place in major hospitals. It is where specialists gather together for one hour each week to discuss difficult cancer cases. In this room there are surgeons, radiologists, nurses, doctors-in-training, researchers, pathologists, etc. Branching off of this meeting are chapters for each character: one in their past, and one in their future. In the first half of the novel, you get all the glimpses into each of their past, in the second half, into their future. By the end of the novel, the reader will know a significant arc in the life of each character. It takes place in Detroit in Grace Hospital which used to exist, but was torn down in the '70s. Loreen, we'll definitely have you back to talk about each of these releases in more detail, but in the meantime, where can readers learn more about you and your work? The blog about my walk around Lake Michigan (where I continue to post information about the Great Lakes) is at http://laketrek.blogspot.com/. My author website is http://lniewenhuis.com/. I also have a fan page on Facebook where I'll post updates about readings and signings. Registration is open for Winter Wheat: The Mid-American Review Festival of Writing. The event takes place this weekend, Nov 11-13, on the campus of Bowling Green State University. There are more than 50 sessions and workshops to choose from (!) so no matter your level or genre of interest, there’s something for everyone. The festival also includes readings by Jim Daniels, Lola Haskins, Andrew Ervin, Gaylord Brewer, and Rebecca Meacham. There’s also an Open Mic and a Book Fair on Saturday. I’m leading a session for writers and social media: “Promote your writing by building an online presence” will take place Friday, Nov 12 from 2:30-3:45pm.